All too often, bad visibility in pouring rain is annoying and especially dangerous. Although we have our wipers and rear demisters to thank, more than often, it would be nice if the water droplets would just bead away from the windshield. So I have treated my windshields with Rain X in the past and they work well. Today, I tested out the Japanese equivalent from Glaco. 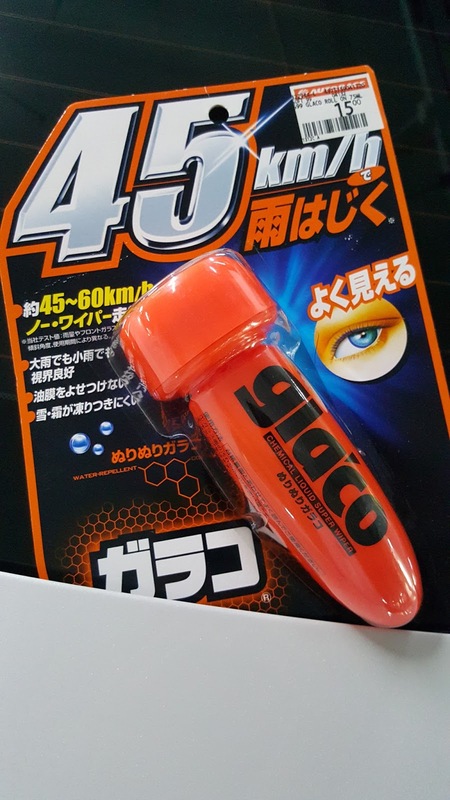 Okay, I do not read Japanese for obvious reasons but the packaging says something about 45-60km/h so I am guessing it means water beading at those speeds. With the cap removed, the tip of the Glaco spots a thick felt pad that looks somewhat like a larger "floor protector" that we commonly use on the feet of our stools, tables and chairs. The Glaco you see in the photo on the left is actually an applicator itself and is soft to press with a self contained amount of solvent to coat the windshield. I noticed that the Glaco smelt somewhat like Vodka and I am sure there is some alcohol in that so called Japanese chemical pen. Once the solvent is completely dried and buffed off, you will note that the surface of the glass being different in terms of texture. It's almost as if you could feel some surface tension with the micro-fibre cloth. My first day in the rain and there seems to be some minor wiper judder at low speeds. Nevertheless, it wasn't significant enough to annoy. As a consolation, the judders will go away or be significantly reduced over time. I suppose this was due to some unevenness in application that is perhaps unavoidable. 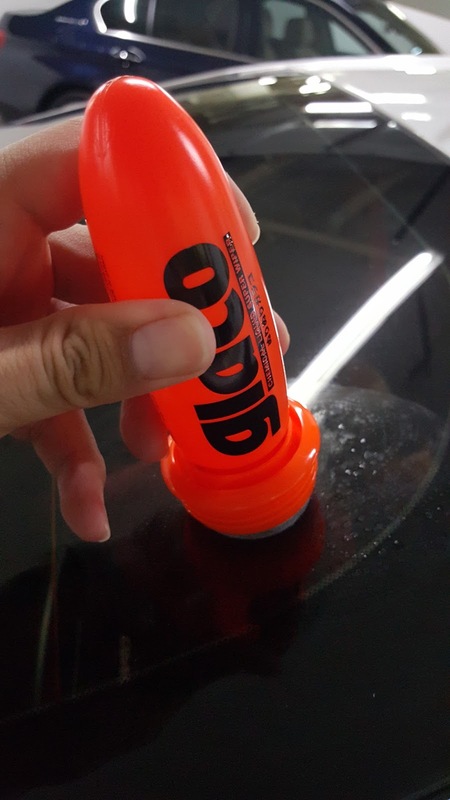 Thankfully, the product worked and water droplets from the rain do bead away in the direction of airflow when driven, particularly at speeds above 50km/h. This worked very well for me as the visibility from the cabin has dramatically improved, even for the windows and side mirrors too. While I do recall that the Rain X was fantastic, the Glaco is almost as good. And for the fact that the entire applicator is self contained, the Glaco scores in terms of ease of application. A no frill invention, worth the while. Hi there. Do have a read on my reviews on RSChip. 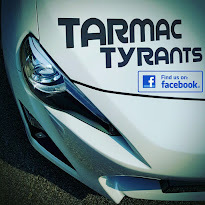 Fortunately,I did 2 reviews on my 86.